The Vision Keeper Wading Boot benefist from Vision's years of experience in the design and manufacture of high performance outerwear for Fly Fishing. Keeper is one of the lightest wading boots made yet the heavy duty EVA sole protects from the sharpest rocks. 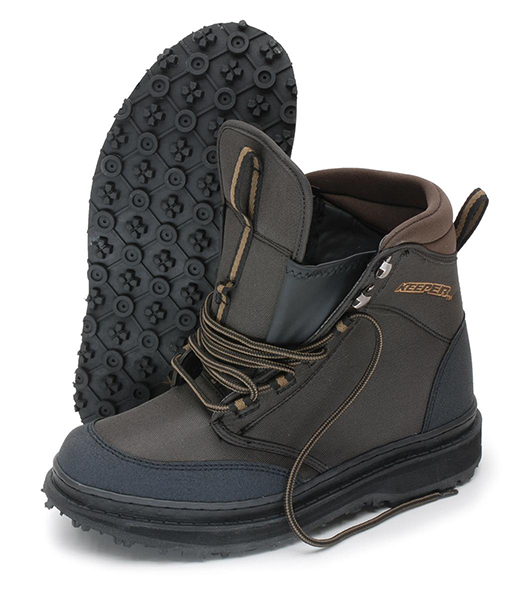 The upper is hard wearing Cordura with padding around the ankle. Heel and Toe are stabilised and protected. The full length tongue and Speed Lacing system provide a fast and secure fit. We recommend them for all but the most extreme conditions. Gain additional grip on slippery surfaces with these wader-grips, which can be used on any waders or wading boots. Visions Best selling zipped wader. A brilliant wading combination of Vision Ikon Zip Waders and Vision Hopper wading boots. 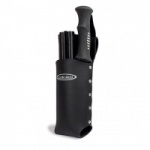 This seven section wading staff made of strong aluminium is reliable. A ventilated boot bag with a pull out, padded, neoprene changing mat. Protects car boot or carpet from wet, muddy boots.